-- 4 oz. 16 oz. 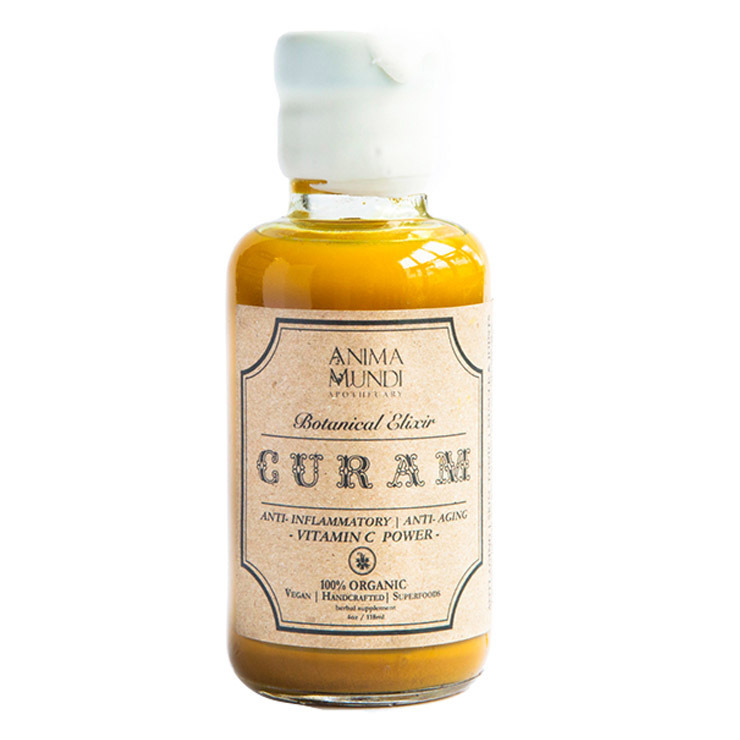 Anima Mundi's Curam Elixir for Beauty + Anti Aging is formulated with a blend of ingredients rich in antioxidants and Vitamin C. The roots and peels included in this geniously crafted elixir work holistically to help reduce signs of inflammation, enhance the appearance of elasticity, and increase a sense of immune function. Consume 1 tsp 2-3 times a day for a feeling of overall skin-joint-gut health. Add it to your favorite beverage (smoothie, juice, tea or water). If drinking with other tonics, enhance its powerful morning properties by drinking before breakfast (recommended). I discovered this when AnimaMundi was featured in the wellness box awhile back. I love the vibe of the line, and was really impressed with how delicious this blend taste. Some tumeric products taste too earthy or spicy, but this one has a nice, slight sweetness to it. Definitely makes taking it more enjoyable, and with all the health benefits associated with tumeric... it's a win win! Really like the product; poor bottle design. I use this in my tea and it does taste good and it is a good tonic. However, my experience is that the bottle is poorly designed. No matter how careful I am, some drips down the outside of the bottle. This is too expensive to waste. Not sure if I will buy, again. So Glad to have found this!